I have something super duper exciting to share with you! Today I am launching my first ever giveaway - eeeek! I have been wanting to do one of these for a long long time, to celebrate how many of you have been reading my blog and to treat you, but time has got this really bad habit of running away from me so... yeah. 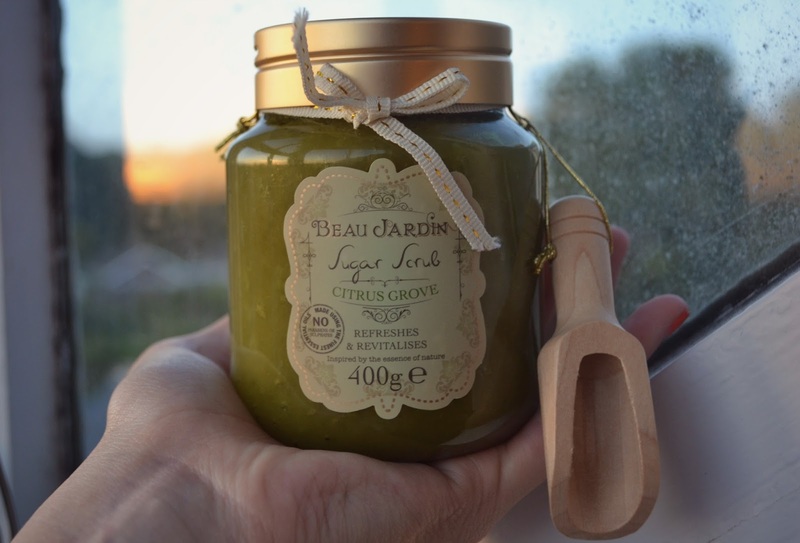 Recently I wrote a post about my latest treats, which included Beau Jardin's Citrus Grove Sugar Scrub (you can read it here.) Because the scrub is honestly so delicious and yummy for your skin, I went out and bought another one to give away to one of you lucky duckies. Beaua Jardin's Citrus Grove Sugar Scrub is a "natural cane sugar blended with softening sea salt and restoring oils to create a naturally stimulating body scrub. Dead skin is gently polished away; circulation is improved and smooth softened skin with an uplifting citrus woody scent revealed. Classically packaged and carefully formulated with the delightful essential oils of Lemon, Lime and Orange to awaken the senses. Inspired by the essence of Nature and enriched with Nature’s extracts of vitamin E, almond oil, shea butter and oats to create deeply nourishing blends. 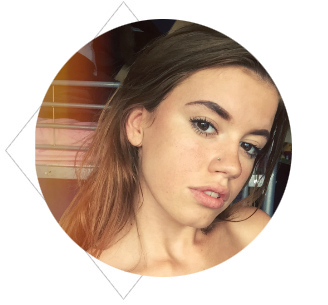 No parabens or sulphates." [sourced from website]. I find the scrub leaves my skin feeling soft, refreshed and smelling like citrus-y wonderfulness. It comes with a gorgeous little wooden shovel to distribute the scrub easily - a lovely spin on a sugar skin scrub. Enter below and don't forget to leave a comment if you've entered. This is a personal giveaway from me to you. I was not given any products from companies for this giveaway - I purchased this myself. This sounds like a gorgeous scrub! Hope I win this, will make a lovely change from my boring shower gel!